The Kepler space observatory fruitful results, which led to the discovery of about half of all known extrasolar planets to date, are being challenged. Out of 1,030 confirmed planetary candidates since the beginning of the first Kepler survey in 2009, a little more than half of the objects that have been identified as exoplanets may not be planets after all. Such is the conclusion reached by Alexandre Santerne and his team after conducting an extensive five year campaign with the Spectrographe pour l’Observation des Phénomènes des Intérieurs stellaires et des Exoplanètes (SOPHIE) installed at the 1.93 m telescope of the Observatoire de Haute-Provence in France. Santerne and his collaborators picked 129 planetary candidates identified with Kepler’s data and conducted follow-up radial velocity (RV) observations to confirm their nature. The targets were selected based on their estimated orbital period (less than 400 days) and the depth of their transit eclipse (luminosity variation between 0.4 and 3%). All of these targets were believed to be giant (gaseous) exoplanets. The RV method measures the velocity variations of the host star along the line of sight caused by the gravitational pull of one or more exoplanets in orbit around the star. These variations appear as a shift of the spectral lines: for approaching objects, spectral lines are shifted to the bluer end of the spectrum while for receding objects, spectral lines are shifted to the redder end of the spectrum. Based on this extensive study, Santerne and his team found that only 45 of the 129 candidates are actual planets: 30 were already classified as bona fide exoplanets and 15 new ones were added to the list. The nature of the remaining 84 candidates is a mixed-bag or various objects: brown dwarfs (3), multiple star systems (48 eclipsing binary stars and 15 more complex systems), and undetermined objects (18). This paper underlines the need to refine the process behind the identification of exoplanets with complementary detection methods. 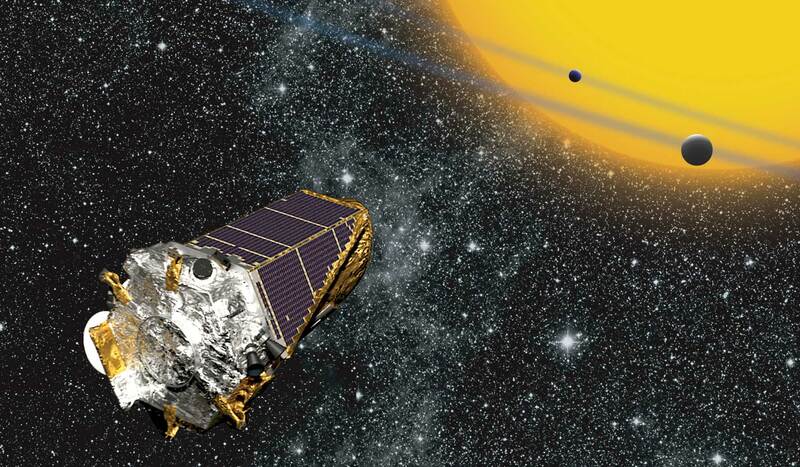 Picture : Artistic view of the Kepler Mission. Crédit : NASA Ames/ W. Stenzel.